He may have been knocked down a few pegs but Saskatchewan Premier Brad Wall remains Canada's most popular provincial leader. 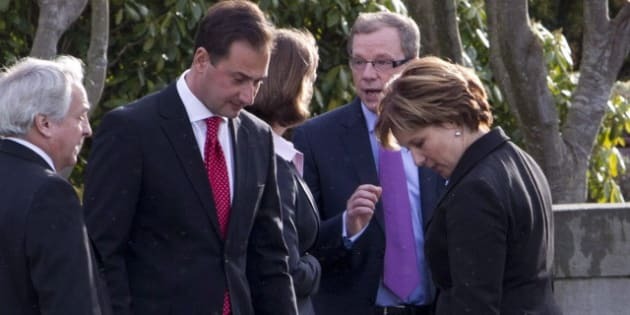 Results from an Angus Reid poll released Monday show there is no other premier or leader of a provincial opposition with as high an approval rating as Wall. The polled gave Wall a 64 per cent approval rating, while 28 per cent of those canvassed disapproved of the Saskatchewan politician, and eight per cent said they weren't sure. "Saskatchewan is the only province where a majority of respondents (64%) are satisfied with the performance of the premier. Wall’s rating has consistently surpassed the 60 per cent mark," the study said. Last time the numbers were out in December, Wall's rating was slightly higher at 67 per cent. The next closest premier was David Alward from New Brunswick who finished second in the polls. By comparison, he garnered a measly 41 per cent approval rating. In Saskatchewan, the approval rating for the incoming leader of the opposition and NDP Party, Cam Broten, was at 32 per cent. Those numbers are still much higher than those garnered by Alberta Premier Alison Redford, who continues to free-fall in opinion polls, reaching an all-time low of 29 per cent approval rating. By comparison, Alberta's leader of the opposition and Wildrose Party leader Danielle Smith came in second across the country with an approval rating of 53 per cent.